Impact Aid action plan includes top two parent requests: parent math help, behavior training. Three grants and one donation, totaling more than $1.18 million, were accepted by the School District 509-J Board of Directors at its Sept. 10 meeting. They included a $500,000 21st Century Grant from the Oregon Department of Education to provide districtwide after school enrichment activities in literacy and math, and a $439,400 Collaboration Grant from ODE to implement teacher collaboration teams districtwide, and for professional development. Also, a $240,000 grant from the state of Oregon to update the teacher housing units in Warm Springs, and a donation of $10,000 of Riddell football equipment for the Madras High School football program were accepted. Superintendent Ken Parshall and Tribal Council and Indian Education Advisory Committee member Val Switzler reported on a new Impact Aid Action Plan, which was adopted in July. 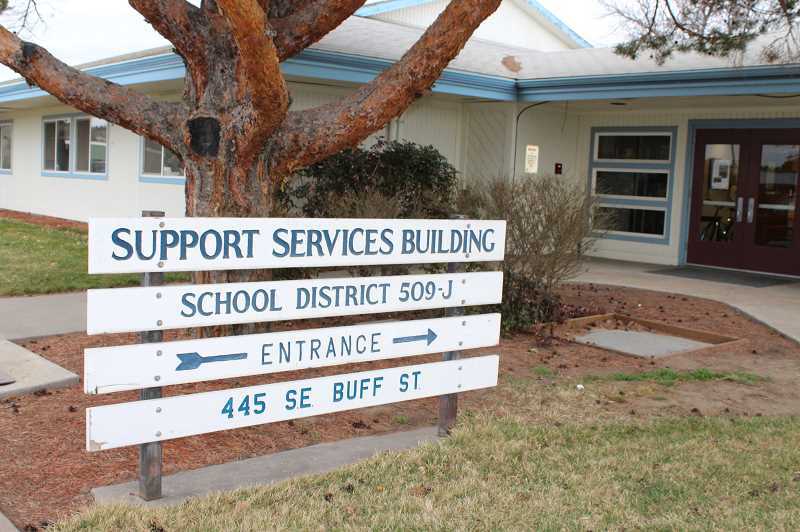 "Lots of meetings were held and several revisions were made," Parshall said of the joint 509-J and Indian Education Advisory Committee meetings, which began in November. A change in federal policy now requires the Impact Aid Action Plan to be reviewed annually. Community engagement events were held in Warm Springs to gather input from parents and community members on the education of tribal students.
. The school district will provide information and training for family members on how to assist their students in the area of mathematics.
. School district staff will provide Positive Behavior Interventions and Support education for all students and staff at the beginning of the school year, and train support staff, who work with students during recess, to decrease the number of problem behavior incidents. Switzler said, "The meetings were good for those involved and for families. At one time, the school felt like it was closed off. Now, I see us working together. When we come together as parents, leaders, and teachers, the kids get the message that we're all on the same page, and it's good for all of us," she said. The teaching of the three tribal languages of the Warm Springs tribes is now being offered in school at Warm Springs K-8 Academy. For middle and high school students, tribal elders and social studies teachers have been working collaboratively to create units on local tribal studies. "The studies will start this year, and some of the work is amazing," Parshall said, noting the elders shared heartfelt stories to use in learning about Warm Springs. The Rise and Shine before-school program, by the tribal Culture and Heritage Department, continues to provide cultural arts, music and language activities for students at Warm Springs K-8. Parshall asked Switzler how rare it was for a school to have a Native American language program during the school day. "It's very rare. Most are usually taught in tribally controlled schools. We have people coming to Warm Springs and asking us 'How did you do it?'" she said. Under personnel, new teacher hires included Katrina West at Madras Elementary, and LaNae Barfield at Buff Elementary.